Sports chiropractors focus their care on the relationship between joint restrictions and their resulting effect on movement throughout the rest of the body. This requires a comprehensive understanding of biomechanics in order to understand and treat joint restrictions in the spine and extremities with modern, research-based chiropractic techniques. Instrument-Assisted Soft Tissue Mobilization (IASTM) is a manual therapy technique in which clinicians utilize stainless steel instruments to effectively and efficiently treat areas exhibiting soft tissue dysfunction, fibrosis, or chronic inflammation. 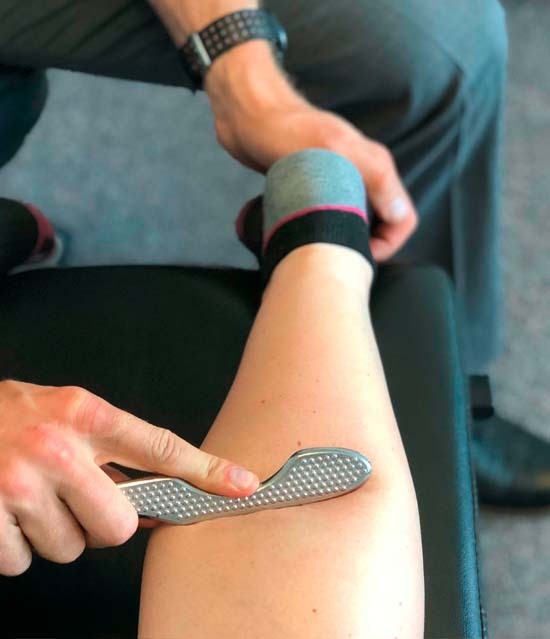 IASTM addresses scar tissue and fascial restrictions while encouraging increased blood flow to the muscles resulting in improved patient outcomes. During these manual therapy treatments a provider uses their hands with precise tension and specific movements to relieve tissue tension, restore full range of motion, and break up fibrosis/adhesions. This is an effective form of treatment for muscle, fascia, tendon, nerve, and ligament injuries. Cupping therapy or myofascial decompression is a form of soft tissue treatment which involves the specific placement of silicone or glass cups on the skin to create a suction. Cupping is used for the treatment of adhesions/scar tissue, trigger points, and restricted myofascial lines of movement. This is accomplished by decompressing the affected myofascial tissues, reducing inflammation, increasing blood flow, increasing nutrient exchange, and subsequently providing pain relief and return to function. Kinesiology Taping is designed to help the body recover while providing support and stability to muscles and joints without restricting the body’s range of motion. 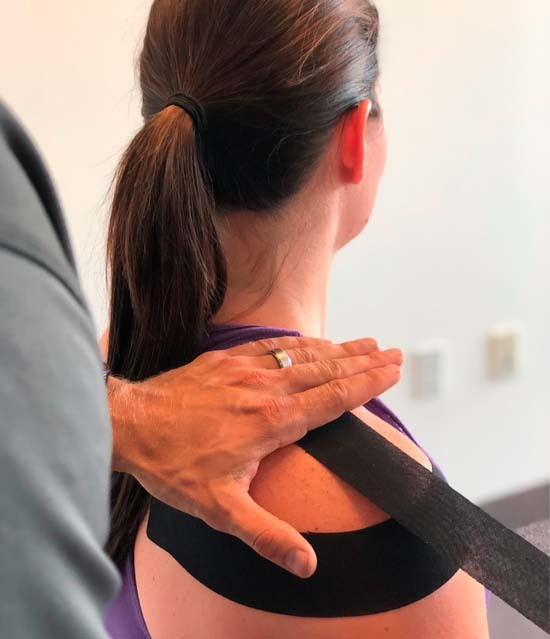 The general goals of taping involve the decompression of soft tissues for reduced swelling/inflammation, delayed fatigue, normalized muscle tone, distribution of physical stresses, and relief of pain. It also provides extended soft tissue manipulation to prolong the benefits of manual therapy administered within the clinical setting. 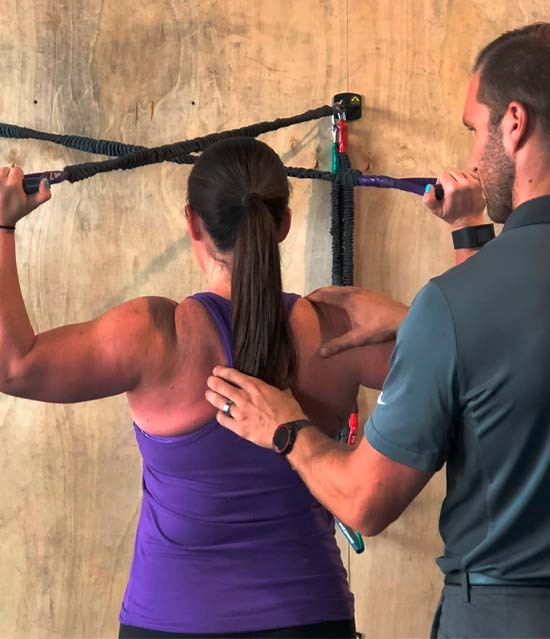 The programming of functional rehabilitation exercises for corrective or therapeutic benefit involves a specific series of movements custom designed to meet each patient’s specific needs based on their injury and biomechanical assessment. These corrective exercises not only rehabilitate the injured tissues, but also assist in preventing the injury from reoccurring by correcting the underlying poor biomechanics that led to the injury in the first place.